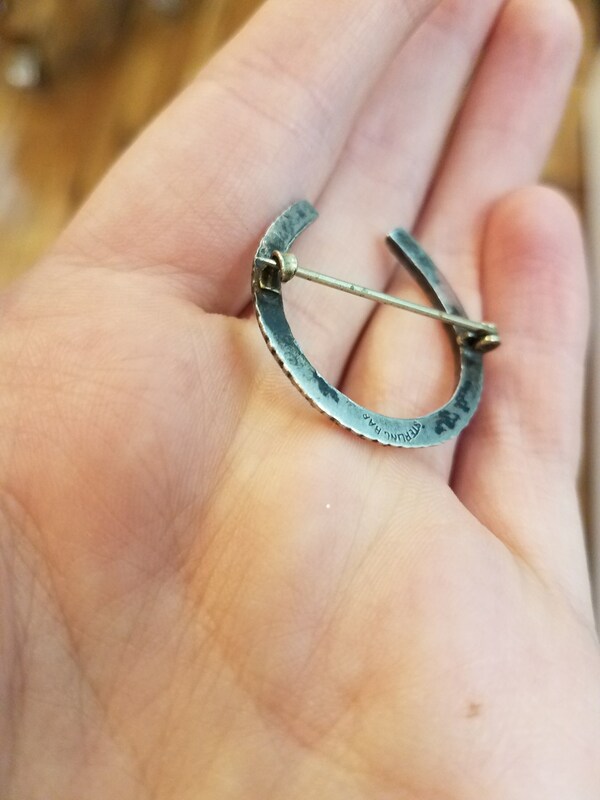 This antique horseshoe brooch is sterling silver with pastes. It measures 1.25 inches by 1.25 inches. 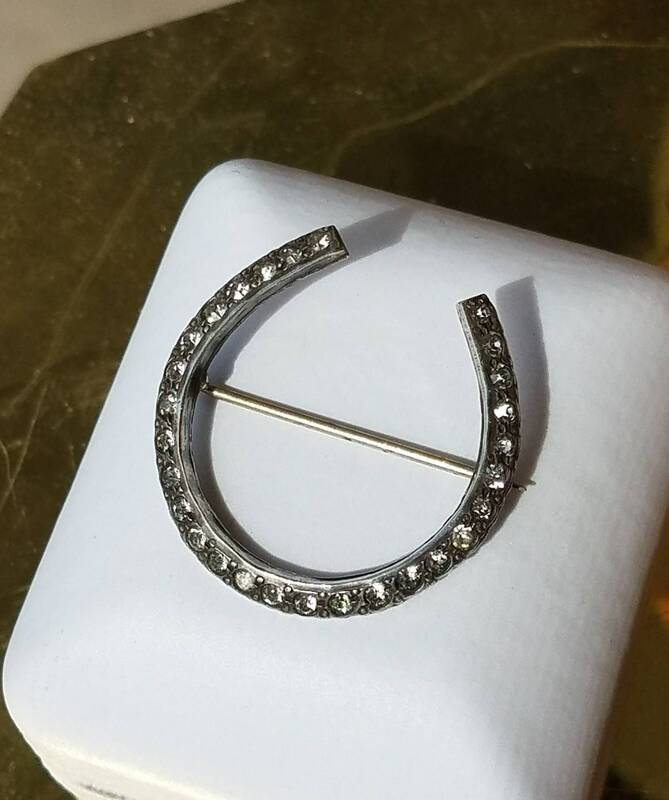 The clasp is a "c" clasp and is in perfect working condition.